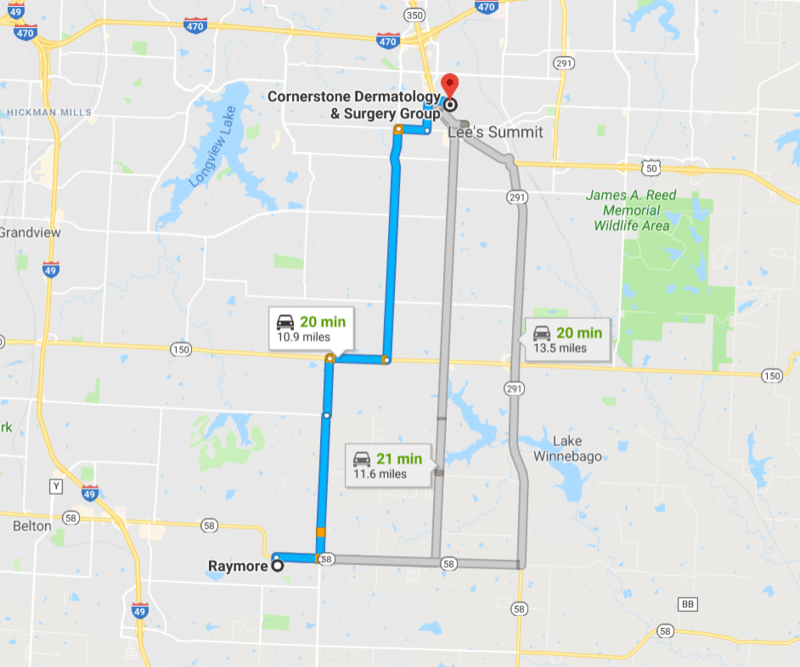 Raymore Peculiar dermatology residents are excited to be within a 25 minute drive from Dr. David Fieleke’s Cornerstone Dermatology and Surgery Group’s office. Dr. David Fieleke, a board-certified dermatologist and a graduate of Raymore Peculiar High School, is pleased to expand access to skin health care to the Raymore Peculiar, Missouri community. There is currently no full-time board-certified dermatologist in this area. Dr. Fieleke is now accepting new patients at his Lee’s Summit office, Cornerstone Dermatology. The office is less than 30 minutes from Raymore Peculiar, with easy access from any direction. 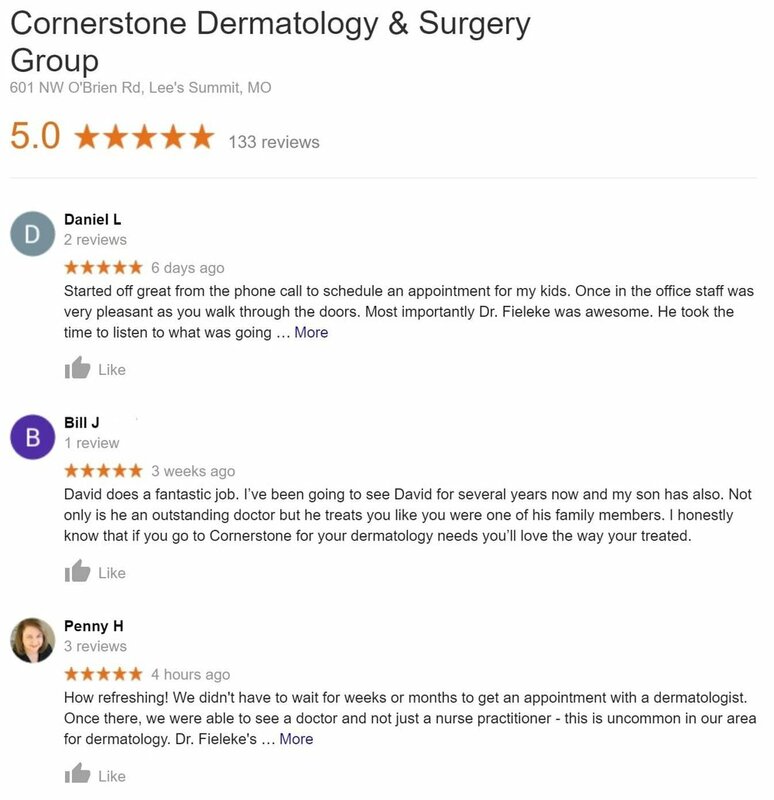 Raymore MO Patients Give Cornerstone Dermatology Five Stars. Cornerstone Dermatology is truly grateful for the incredible support of our patients in Raymore Peculiar, Belton, Independence, Lee’s Summit, Blue Springs, Harrisonville, Sedalia, Warrensburg and the many surrounding communities! It is a privilege to care for you!